So there I was, sweaty yet triumphant sitting amongst my ample summer fruit selection, and wondering how I was going to eat it all before the July 4th holiday. Freeze it? Make a pie? Cobbler? Jam? Hmm...so much effort in my tiny hot apartment and this solo fan is just not helping in the motivation department. I picked up my latest issue of Bon Appetit, idly flipping through, and stopped at a beautiful rose-colored display of cold, luscious treats. "Pretty in Pink," read the headline. "Two of the best things about summer: super-ripe produce and frosty dessert." Score!! And so were these Gingery Watermelon Paletas born. 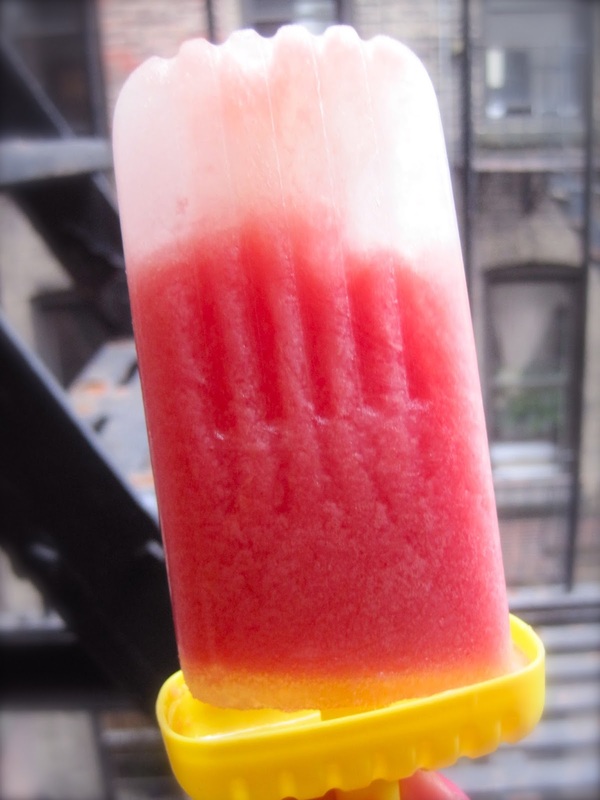 I am very fond of paletas, as mentioned in my Cucumber-Lime Paletas post; the Mexican ice pops are known for their unexpected whirl of flavor from spice or flowers— a welcomed deviation from the plain old fruit & sugar combination. 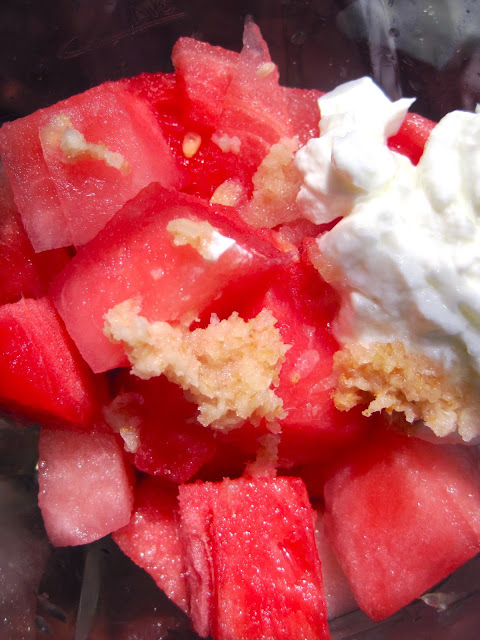 I was immediately intrigued by this recipe because it mixed some of my favorite Asian flavors—ginger and lime—with naturally sweet watermelon, requiring little added sugar to achieve this saccharine & spicy bite. I also added a dash of cayenne pepper to enhance that flavor juxtaposition—if you are adventurous, try chili powder too. 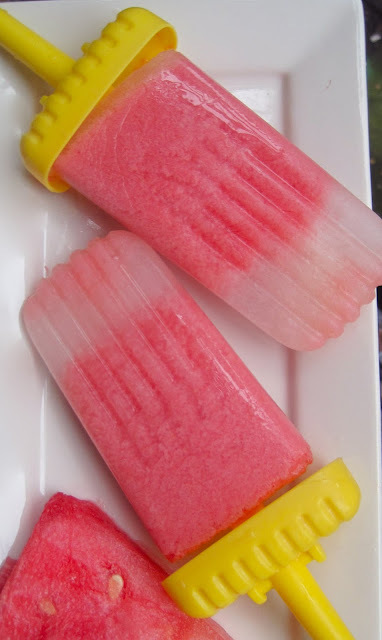 The Greek yogurt in this recipe creates a creamy paleta texture rather than icy; the result is a substantive pop that yields more body than just the pureed fleshy watermelon on its own. Equally fruity and frosty, this paleta is quite the summer refresher and a must for keeping cool. 2. Divide puree among ice-pop molds. Freeze until solid, at least 4 hours. If inserting popsicle sticks into molds, insert after 60 minutes of freezing, and use stick to stir mixture in molds to blend.